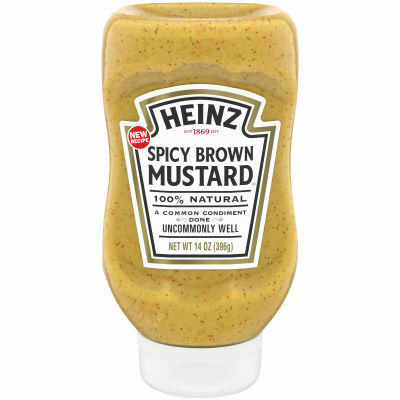 Our bold and flavorful brown mustard is made with 100% natural ingedients, including stone ground mustard seeds and a secret blend of spices and vinegar, for the perfect balance of spice and tang. Delicious on deli sandwiches, hot dogs and sausages. Serving size 1 Tsp (5g).